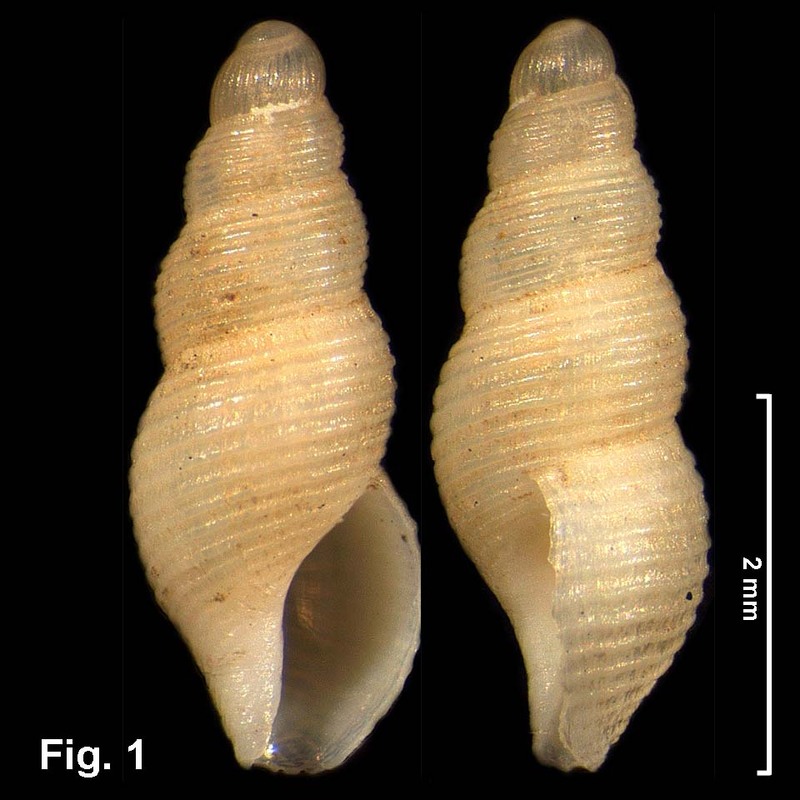 Description: Protoconch of 1¼ whorls, axially ribbed, with abrupt transition to spiral sculpture of teleoconch. Spire straight in outline, whorls rounded; aperture 1/3 shell length. Whorls sculptured with evenly spaced spiral cords, 8-13 on penultimate whorl, with interspaces of about same size as cords. Outer lip thin, smooth, not thickened internally or externally. Columella smooth. Siphonal notch relatively broad. Shell translucent when fresh, uniformly white. Distribution: Endemic to Australia; recorded from Point Halliday, NSW, southwards to Sydney, NSW. 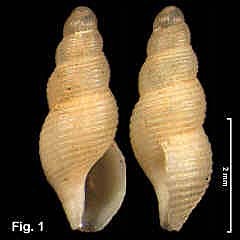 Habitat: Known from beach shells, and down to 18 m. Uncommon. Remarks: The treatment of this species by Wilson (1994) is incorrect; the specimen he has illustrated is Aesopus plurisulcatus, and his description is based on that.